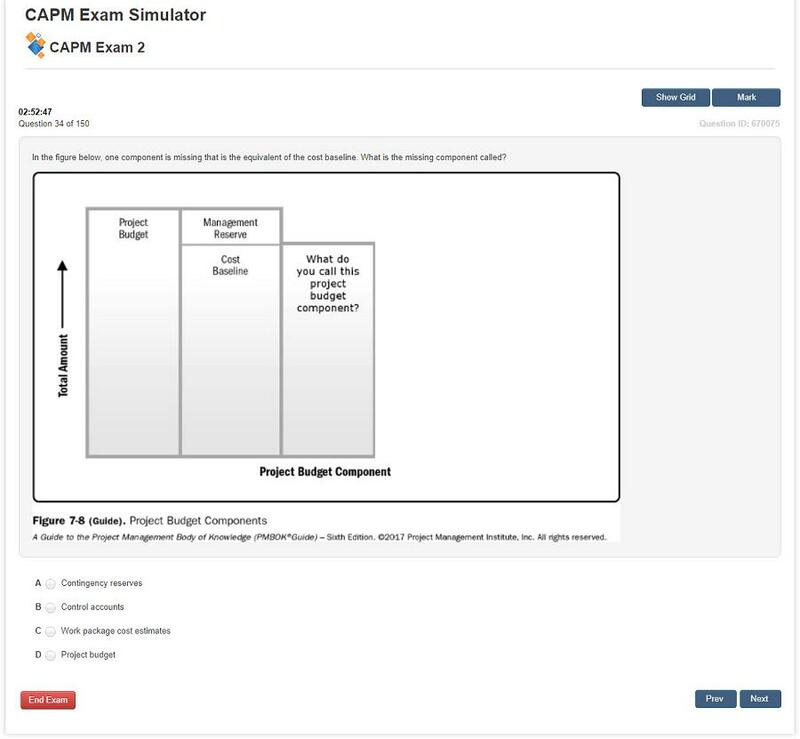 Prepare for and feel 100% confident to pass your Certified Associate in Project Management (CAPM)® Exam by using the best CAPM Exam Simulator and CAPM Exam Questions on the market. 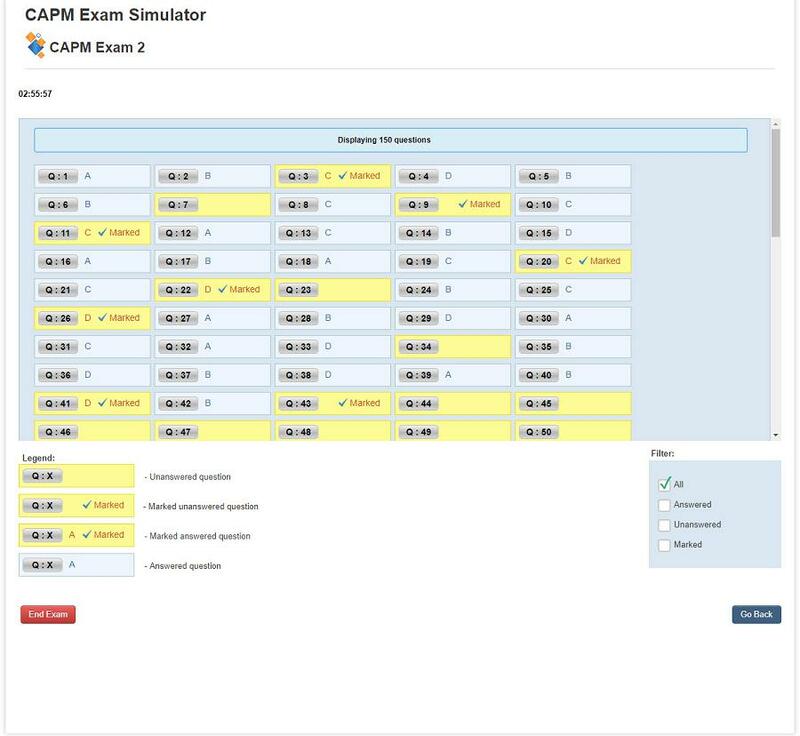 With the simulator you have online access to 650 realistic CAPM example questions in 5 exams. The style and difficulty of all questions closely match the questions that you will encounter on your actual CAPM exam. 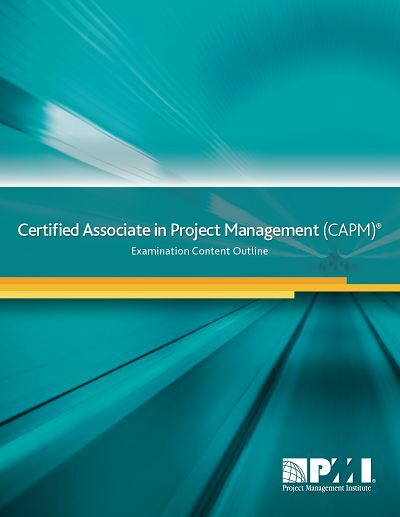 All questions were developed by a team of certified project managers and your questions are updated to the latest CAPM Exam Content Outline as well as the most recent A Guide to the Project Management Body of Knowledge (PMBOK® Guide). 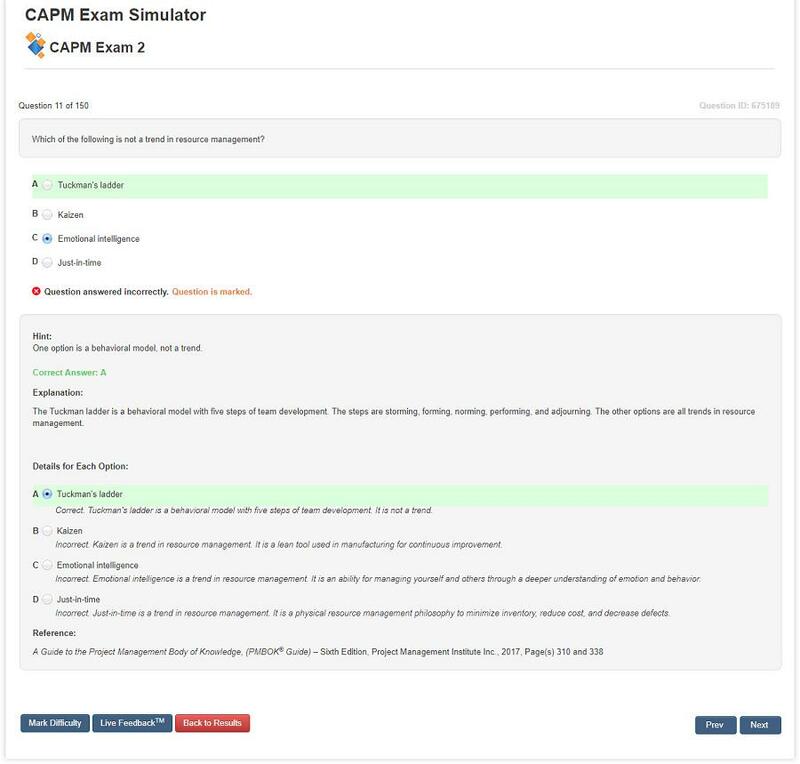 Your subscription to The CAPM Exam Simulator always includes the core features which you can read about under Feature Details. 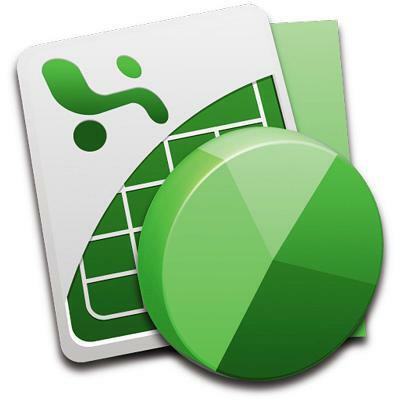 Core features include items like detailed explanations, ability to access the simulator anytime from anywhere, being able to access the simulator via your preferred device (phone/tablet/PC), and much more. Oh yes! With your subscription you will have access to an exceptional pool of CAPM practice questions. Especially developed for the CAPM exam based on the latest examination content outline. Your questions discuss every Process Group and Knowledge Area from the PMBOK® Guide. But they also cover all the formulas and the glossary. The questions are quite varied so that they will give you an in-depth cross section of what to expect on your actual CAPM exam day. There are even 200 questions that specifically test your knowledge of inputs, tools, techniques and outputs (ITTO) from the PMBOK® Guide. During your real CAPM exam will need you to answer 150 CAPM test questions in 3 hours. That is why we make sure that your CAPM simulator can test you under the exact same conditions. 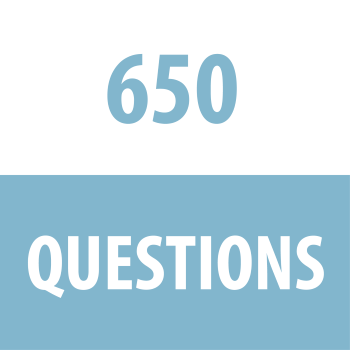 To achieve this we have grouped the 650 questions for you into five individual exams. This allows you to practice on several simulated exams before your big day. Exams 1, 2 and 3 are just like the real exam and exams 4 and 5 consists exclusively of ITTO-based questions, allowing you to focus on that area of your studies. Think of this as being almost like learning to drive. The more practice you get, the better your chances of passing your driving test -- or in this case, the CAPM Exam. The real CAPM exam questions that you will see on your exam are developed by certified volunteers from around the world for PMI. These volunteers develop the questions following a rigorous quality process to ensure that questions meet the official CAPM standards. But each person adds their personal "angle". In this way you get a lot of varied questions for the exam. We follow a very similar process to develop the questions for your simulator. We hired a worldwide team of certified project managers who developed the original pool. That is how you can be certain to find a lot of variety in the questions as well. 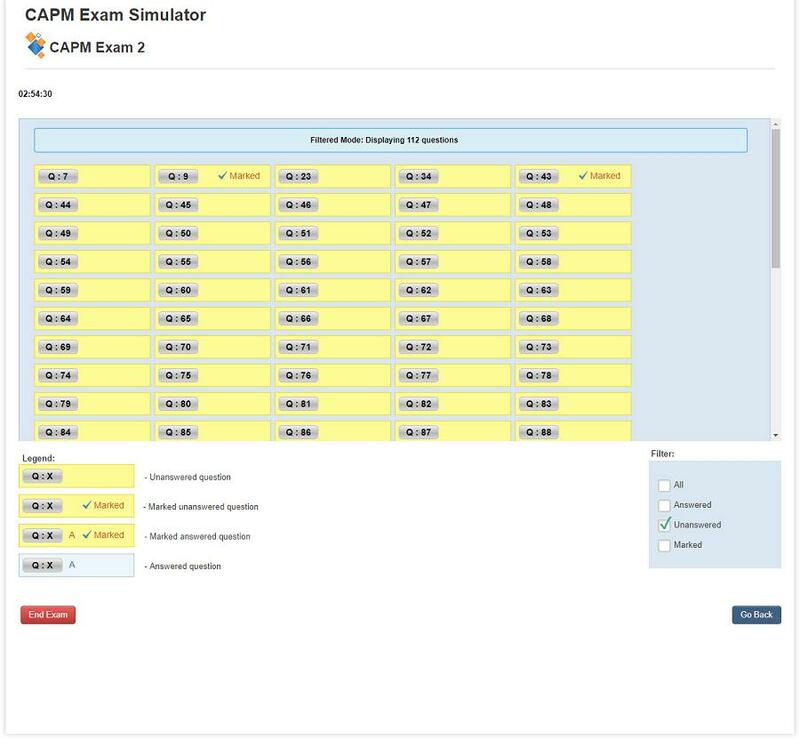 With The PM Exam Simulator it will feel like you are looking at CAPM real exam questions. The CAPM Exam is always based on the most current examination content outline. 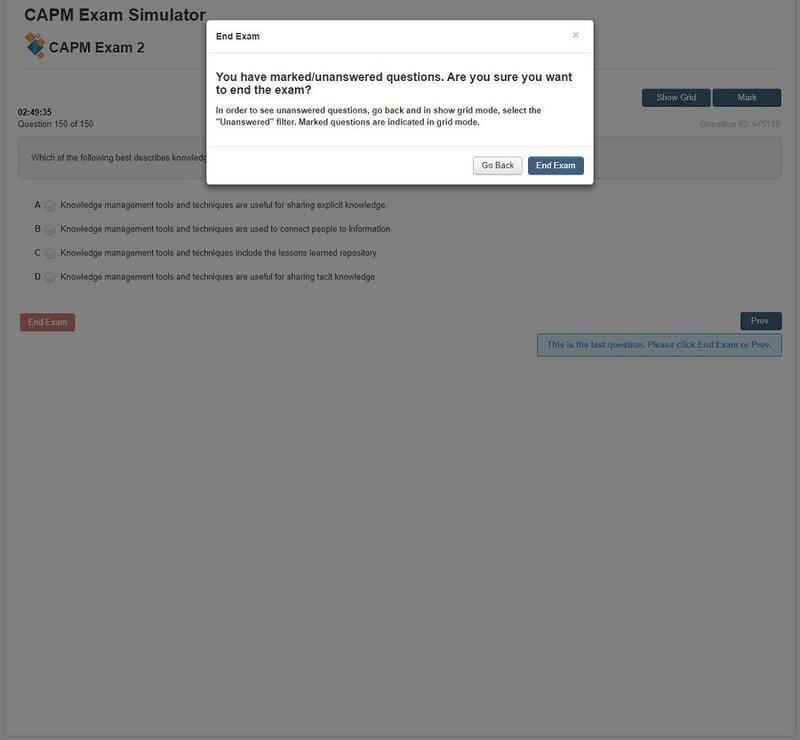 And your CAPM Exam Simulator follows along. 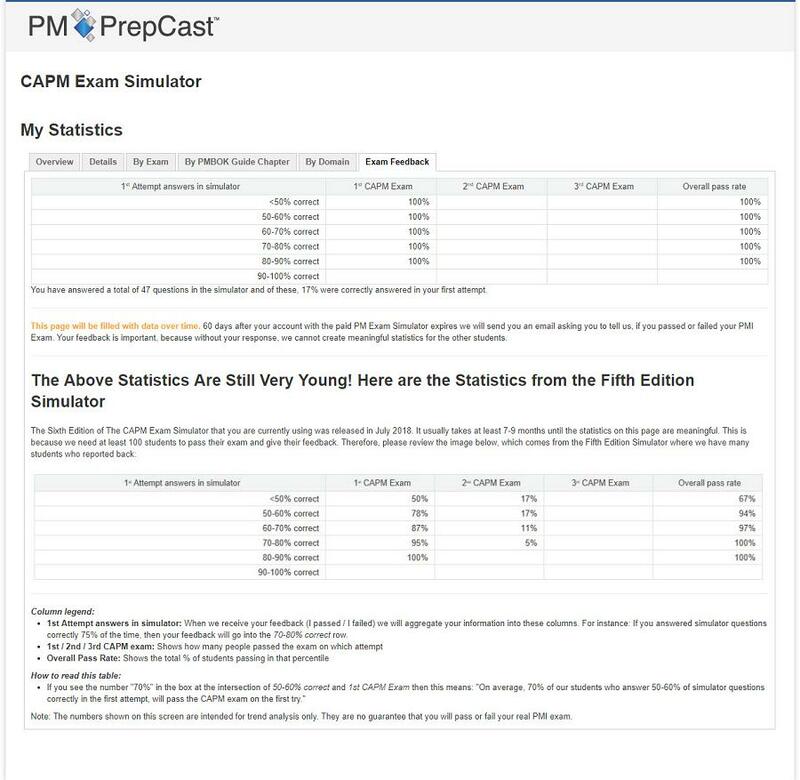 This means that you can be confident that all questions in your simulator meet today's PMI policies, because we review and update all questions to the published CAPM Examination Content Outline -- that's the document that describes what you need to know for your CAPM Exam. Furthermore we also review lessons learned from our students to identify new question styles and include those by developing and adding new questions to the simulator while removing outdated ones. 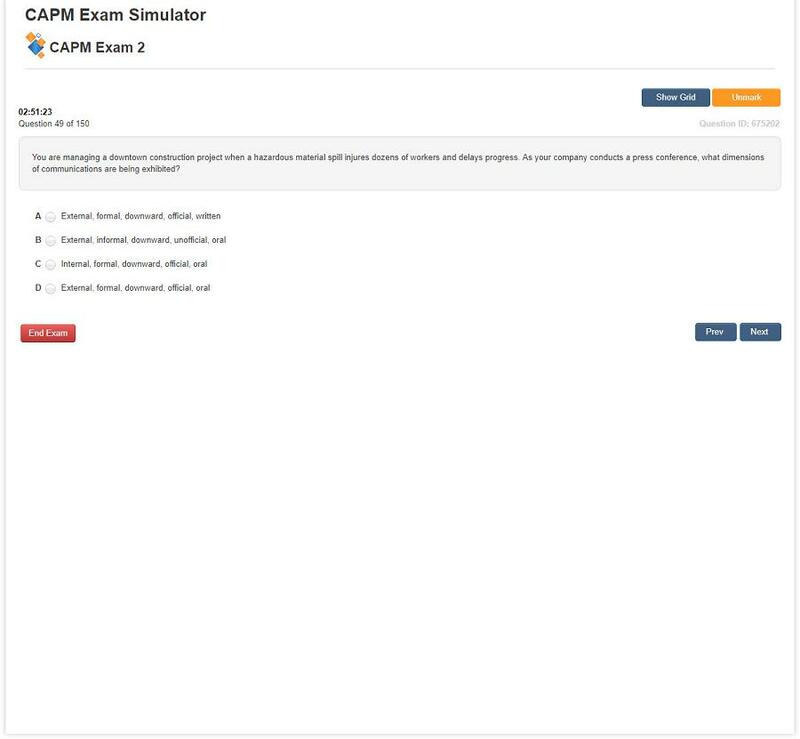 This ensures that we always have an updated pool of CAPM certification exam questions in the simulator for your. 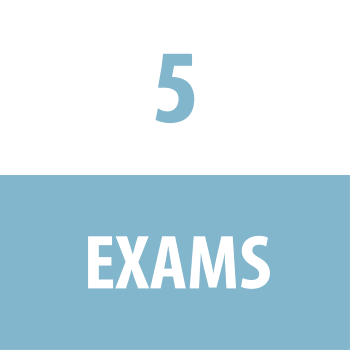 In this 5-part email course we introduce you in detail to the all-important multiple choice test taking strategies for PMI® Exams. We review the types of questions that you must expect and be ready to answer on the real exam, tell you how to develop your own strategy for approaching this multi-hour long exam, and give you the steps necessary as you are getting ready to leave home to take the exam on exam day. 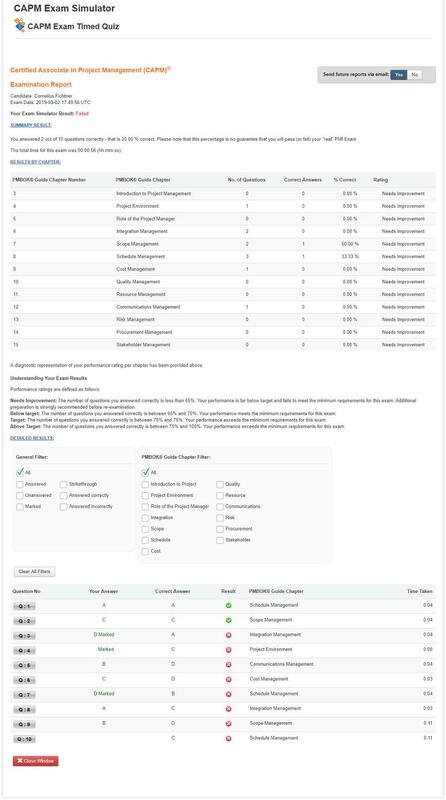 The Exam Score Worksheet allows you to keep track of how many sample CAPM exam questions you answer correctly in your practice exams. Just record all your first attempts of taking practice exam in here to see how you are doing. 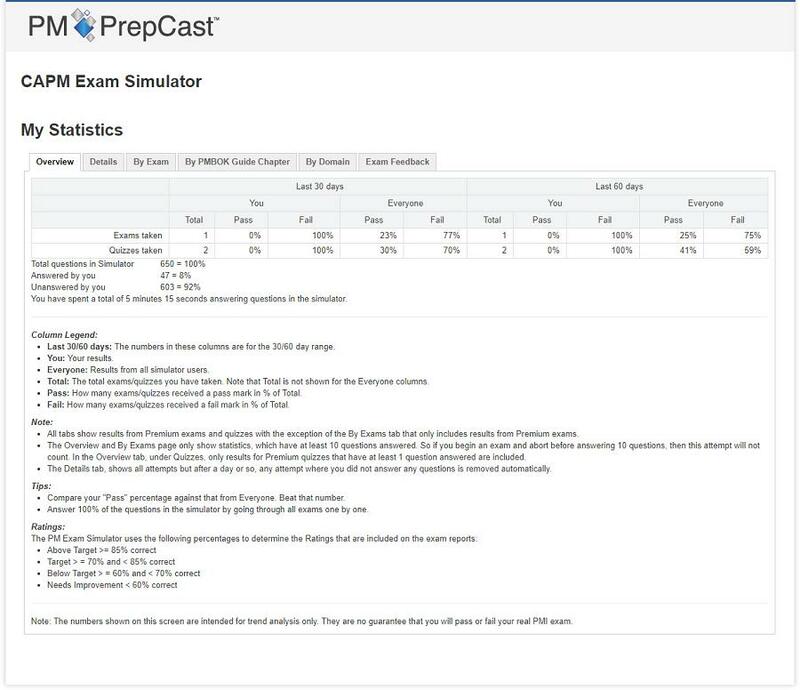 It's a great way of monitoring your progress as you are answering hundreds of sample CAPM questions across multiple exams and seeing how you improve over time. It is a PMI® requirement that you receive training in project management before you can apply for your exam. PMI® calls these training hours "Contact Hours". You need 35 Contact Hours for the Project Management Professional (PMP)® exam, 23 for the Certified Associate in Project Management (CAPM)® exam, and 21 for the PMI Agile Certified Practitioner (PMI-ACP)® exam. This worksheet not only helps you to tally the hours and ensure that you meet the requirements, it also includes a substantial FAQ section that explains everything you need to know about Contact Hours in easy to understand language. Wouldn't it be great if you had a question about the exam that you could go and ask a trusted source? That is what our exam forums are for. All students have access to these forums to discuss and learn from each other. 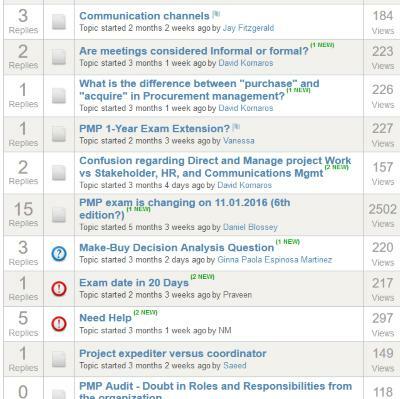 But even more importantly, we have 12 certified project managers who act as moderators in these forums. So go ahead... ask your question. You can be sure that your fellow students or a certified moderators will help you quickly. 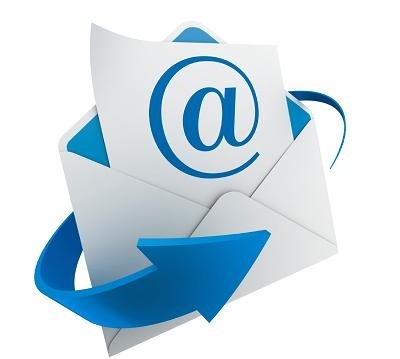 Our weekly Exam Tips Newsletter offers tips, tricks, study approaches, best practices, articles and recommended study materials for both the PMP and CAPM Exam. If you are looking for a free source of all kinds of additional information about the exam, then this is it! 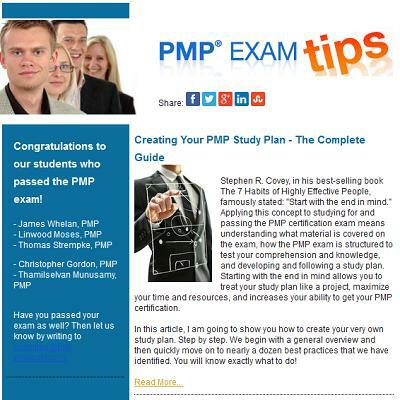 It is a must have for everyone preparing for their PMI® Exam. (You can unsubscribe at any time). OSP International LLC is a PMI R.E.P. 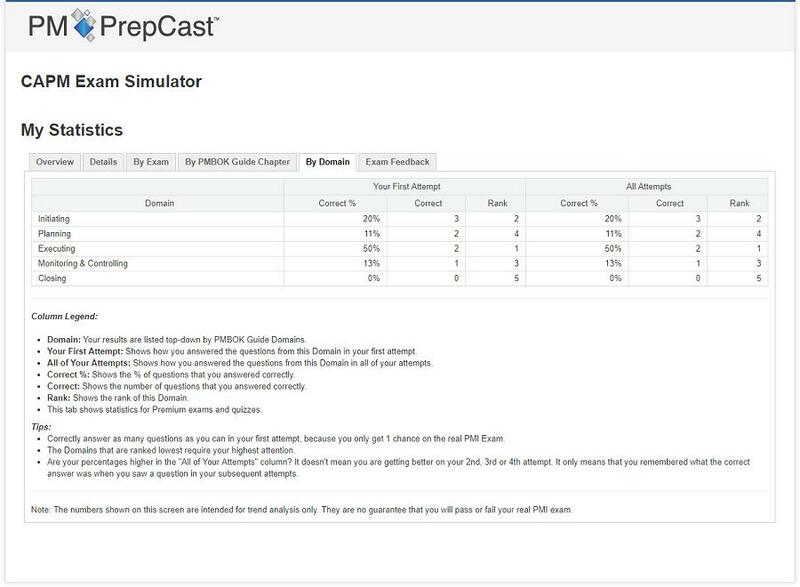 OSP International LLC, the creator of The PM Exam Simulator, has been reviewed and approved as a provider of project management training by the Project Management Institute (PMI)®. As a PMI® Registered Education Provider (R.E.P. ), we have agreed to abide by PMI® established quality assurance criteria. However, for best experience we recommend that you use either a laptop or desktop computer when taking a full exam. After all, your real PMI exam will require you to use a regular, windows-based computer while sitting at a desk. You should therefore practice in the most realistic fashion possible. 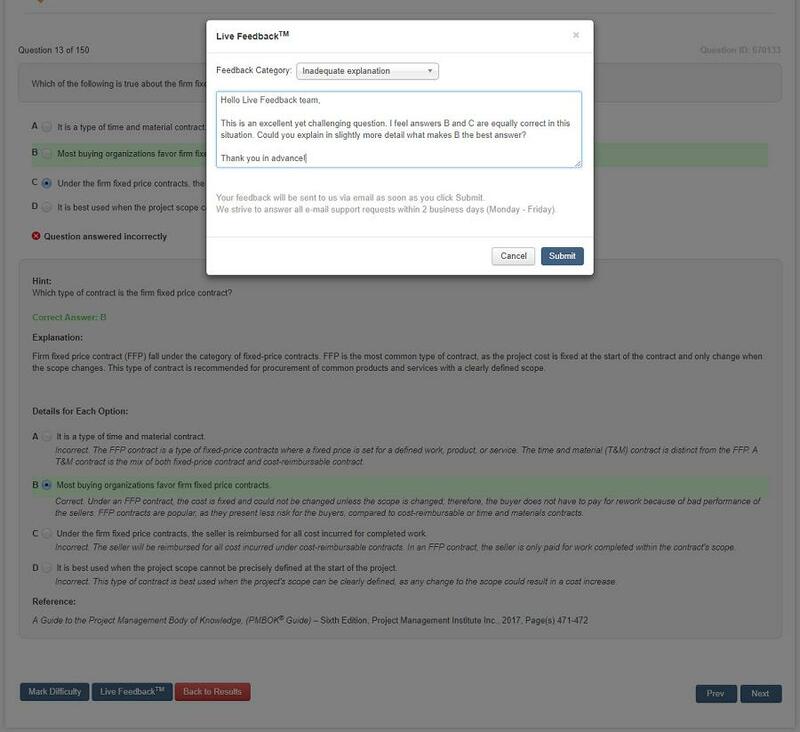 You will receive a full refund if your refund request is received within 15 days of your purchase and if you have taken a maximum of 1 full exam in The PM Exam Simulator. 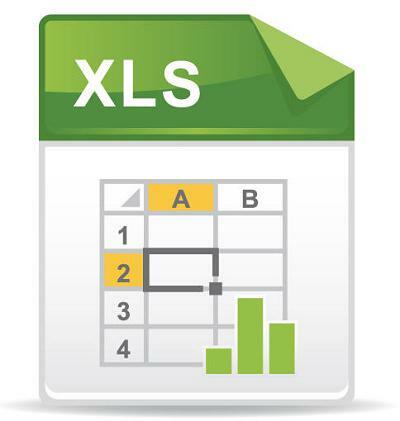 Your purchase of The PM Exam Simulator is for a single-user license. You will receive a username & password in your name to access the simulator. This is your personal access information, and you may not share your login credentials with others. You may access the simulator as often as you like during the subscription period. Access from multiple devices is permitted. Access from multiple devices at the same time is prohibited. 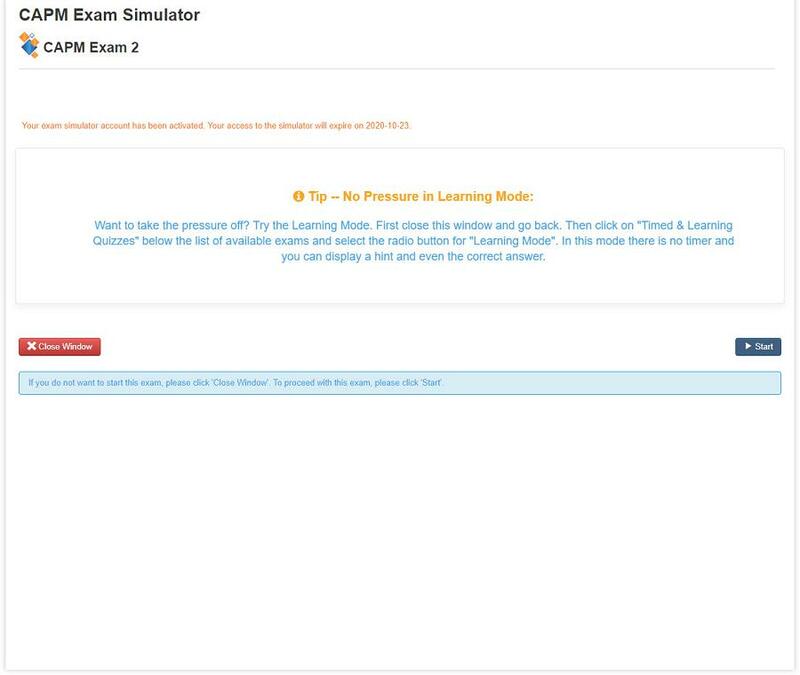 The PM Exam Simulator is an online tool and you do not have to download or install anything. This means that an active internet connection is required at all times. 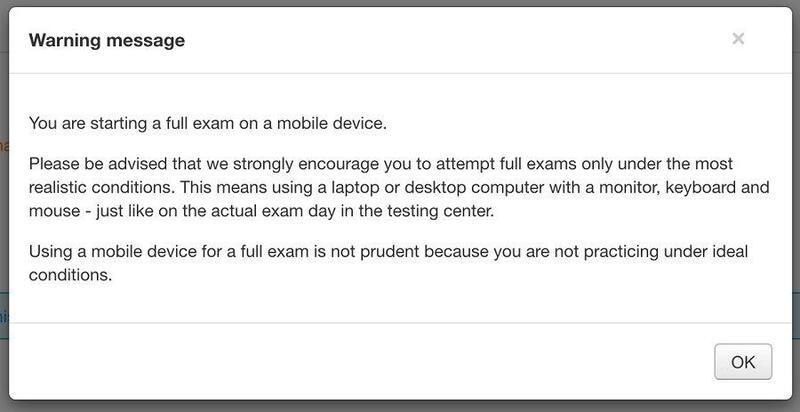 It is not possible to take exams or quizzes while offline. 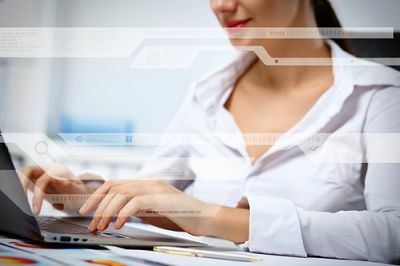 Minimum speed for internet connection is 512 KB, however a high-speed connection (cable, broadband, etc.) is recommended. Please note that Microsoft Internet Explorer 11 is the only IE version that is supported! Discount coupons are only valid for new purchases and the coupon code must be entered into the Gift Certificate box at the time of purchase in order to obtain the discount. - The discount cannot be applied to purchases that happened before the coupon start date. - The discount cannot be applied to purchases that happened on/after the coupon expiration date. Customers who purchase a product for which a discount coupon is active on the day of the purchase have 3 days to write to support and ask to receive the discount. The discount cannot be granted if the customer writes to us later than 3 days after the purchase. 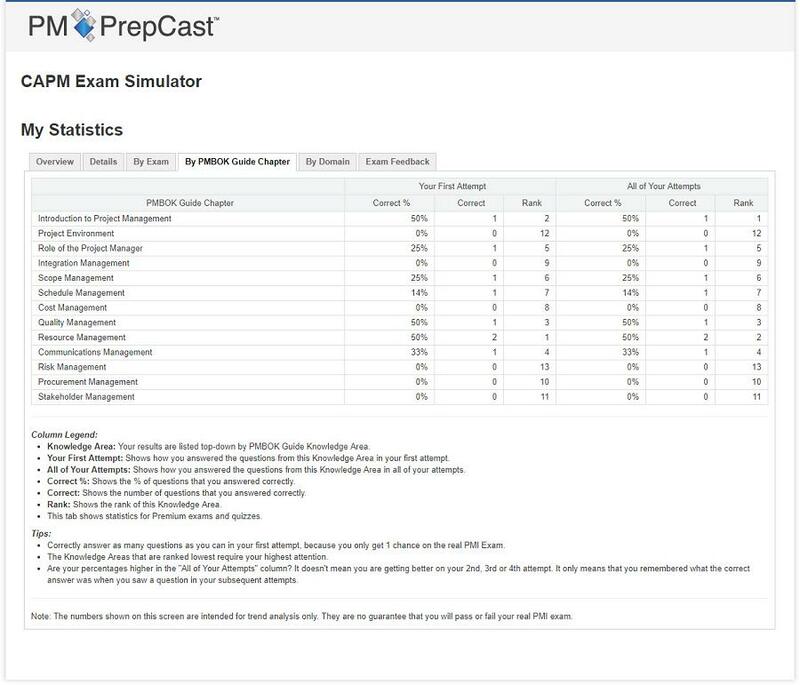 If you are a customer of The PM Exam Simulator and unfortunately didn’t pass your PMI Exam, we will give you 90 additional days of access to the simulator. You are a paying customer of The PM Exam Simulator. You did not ask for a refund on your account. You took your Project Management Professional (PMP)®, PMI Agile Certified Practitioner (PMI-ACP)® or Certified Associate in Project Management (CAPM)® exam but didn’t pass it. We will extend your access if you meet all the criteria. 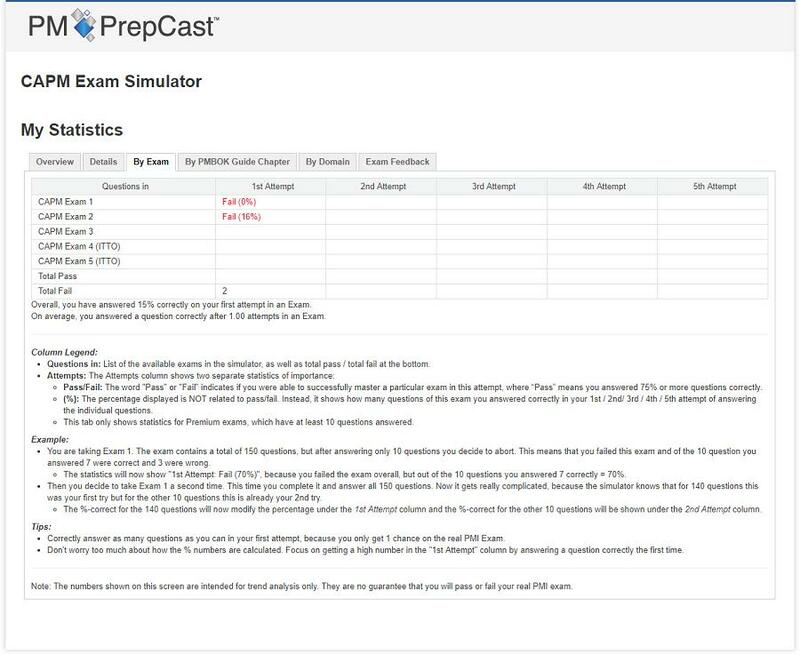 Please note that a passing score in an Exam or Quiz of The PM Exam Simulator™ is no guarantee that you will pass your PMI Exam. Results and statistics obtained in the simulator may help identify a student's weak areas, but they are neither an implicit nor explicit guarantee for exam success. 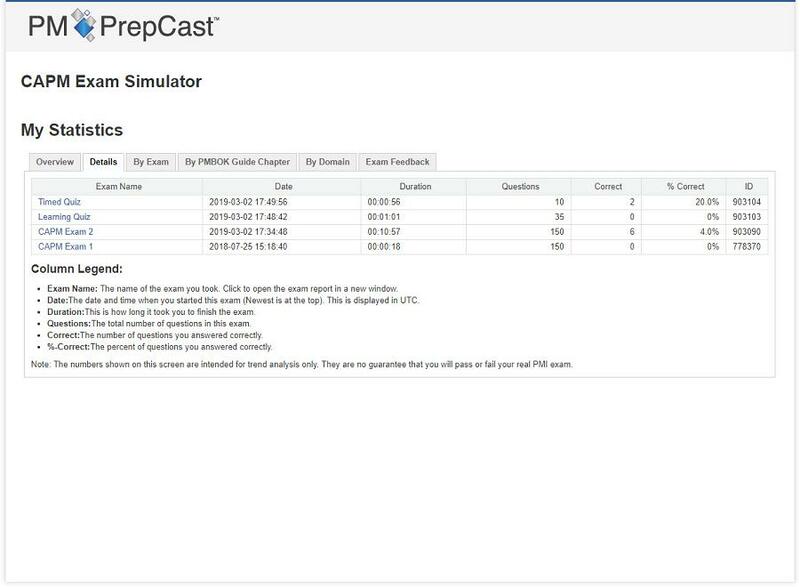 The PM Exam Simulator™ does not provide any project management training lessons, which means that it does not qualify for Contact Hours. Contact Hours can only be earned for training received. And because The PM Exam Simulator is "only" a tool to test your ability to take the Project Management Professional (PMP)®, PMI Agile Certified Practitioner (PMI-ACP)® or Certified Associate in Project Management (CAPM)® Exam and doesn't provide any training lessons, this means that you cannot earn Contact Hours from it. 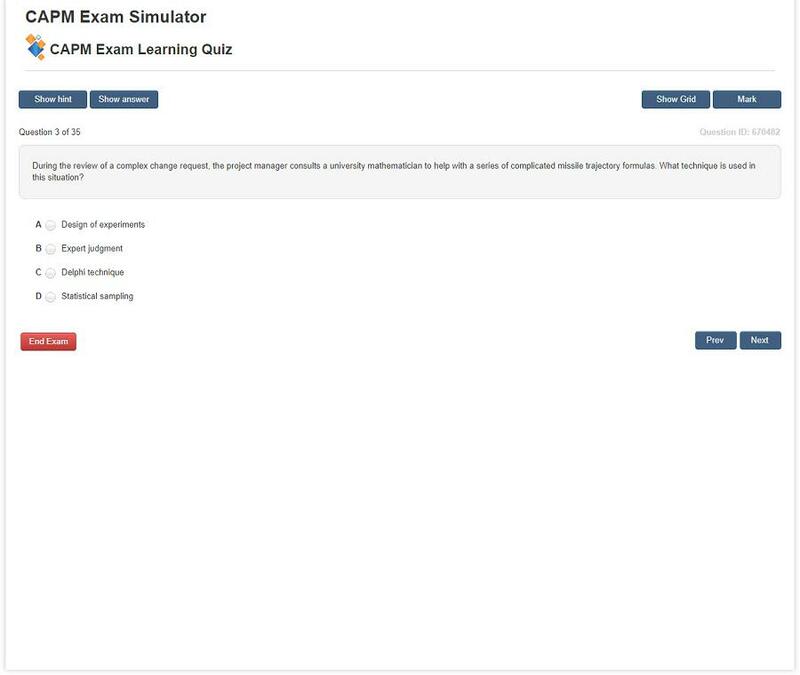 Please note that the questions of The PM Exam Simulator™ cannot be printed or exported. They are intended for online use only. Filter by Domain, Knowledge Area, or the general filters where you can select questions that are answered, unanswered, marked, used strike through, answered correctly, and answered incorrectly. But most importantly, online-only access guarantees you are accessing the most recent questions and explanations. This is important because we update our questions and explanations quite regularly (sometimes daily) based on feedback and questions from our students. And the only way to be sure that you are seeing the most current and valid questions and explanations is by using them online only. 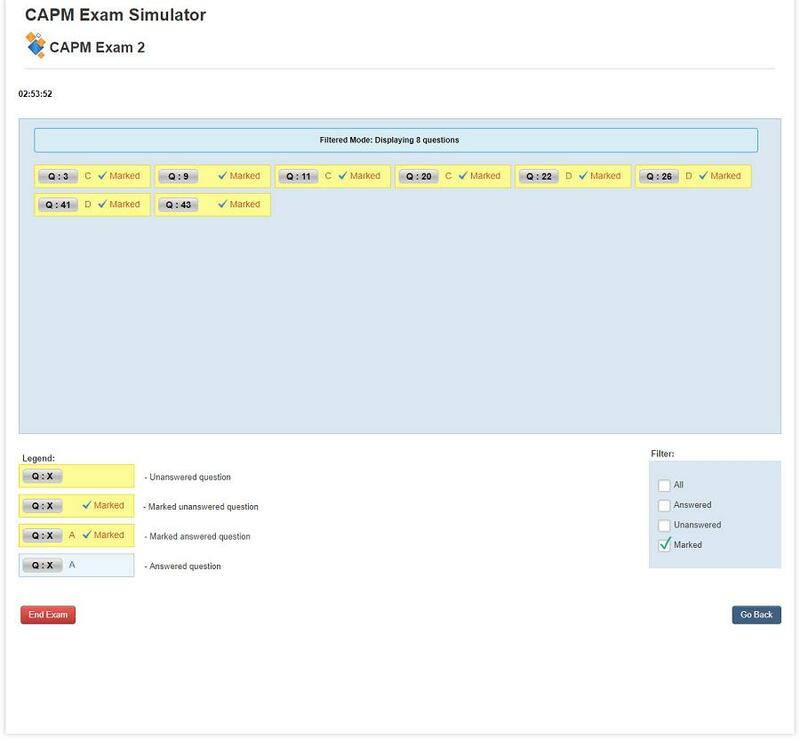 Your initial 90-day access to The PM Exam Simulator does not start immediately. Instead, the simulator "waits" for you to log in and start your first exam/quiz. Now the simulator asks "Do you want to activate your account?" If you answer "Yes, activate", then your 90-day access begins. 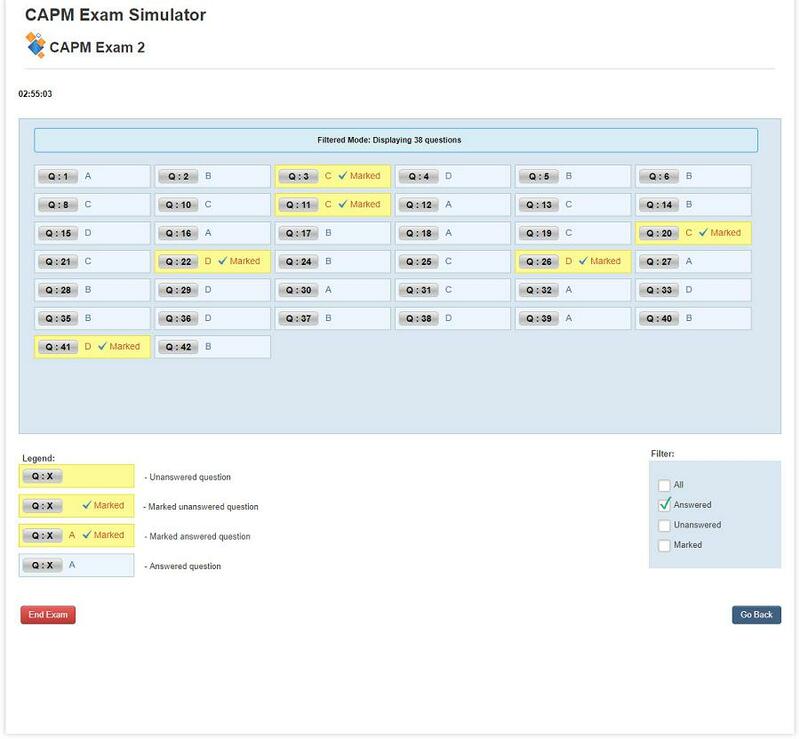 In this way, you can purchase the simulator today, but continue with your exam studies until you are ready to take your first exam without losing any access time. Please note that activation of your account is irreversible. Once you say "Yes, activate" then it cannot be undone. 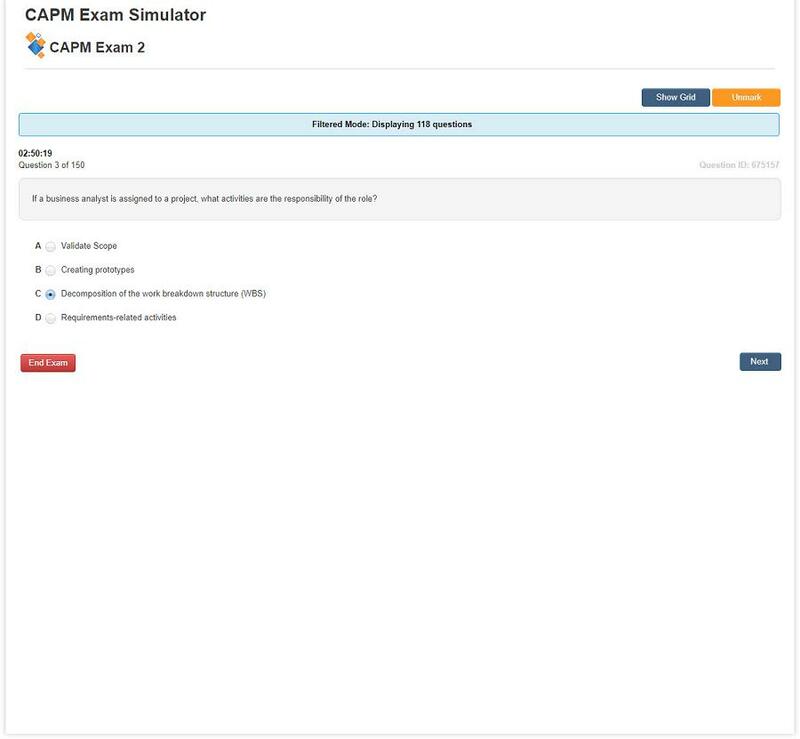 The price for The CAPM Exam Simulator is $69 for 90 days of access. At the end of this 90 day period you can extend your access by 30 days for $15 or 60 days for $25. Note that the 30/60-day extensions are only available for existing customers. You must first buy the 90 day access.